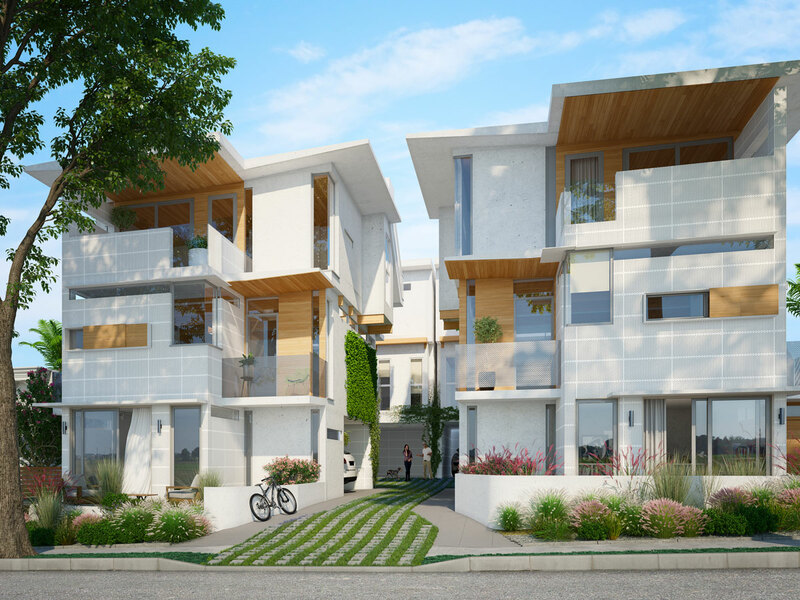 After a few years in development, our new four-residence development of small lot houses in the Morley Field area of North Park, San Diego is completing preliminaries. North Park is a vibrant, engaged and engaging historically vital neighborhood, with a history that began more than 100 years ago. Today we see an eclectic mix of restaurants, bars, shops and entertainment. In North Park we can walk everywhere, to the park and to grocery stores and the cafes. Morley Field, greater Balboa Park, the San Diego Zoo are all within a short distance . 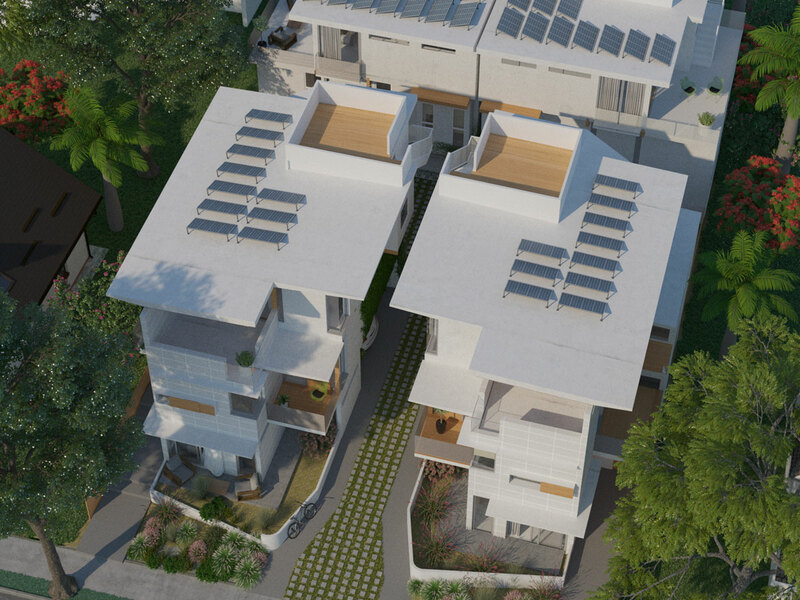 Each of the houses has three bedrooms, 3 ½ baths, 2-car garages and roof terraces. 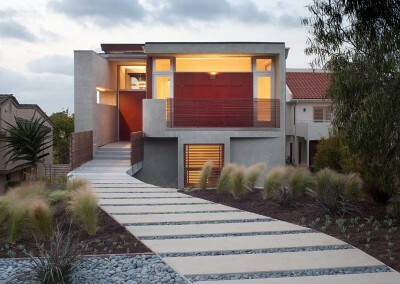 On three levels, the houses have a decidedly modern appearance and layout, each providing around 1,800 s.f. of living space. Interior features include hardwood floors, open-plan living room/kitchen/dining area and a bedroom on the ground floor for easy conversion for use as a home office or studio. 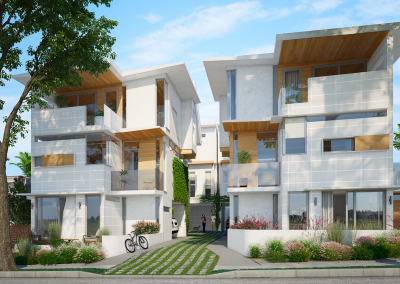 All units feature private side yards, patios and balconies. Additionally all units have no common walls and a private entrance. Floor to ceiling windows and sliders light up the space with an abundance of natural light. 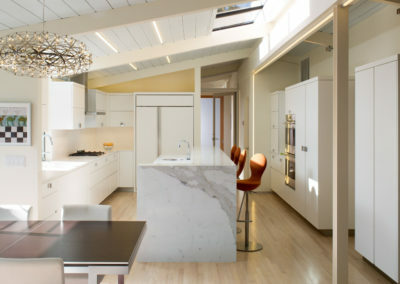 Warm wood is paired with clean white interiors, creating a great mix of warmth and texture.